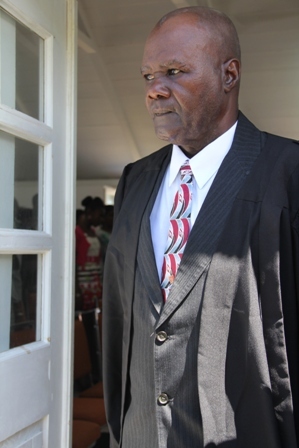 NIA CHARLESTOWN NEVIS (March 26, 2013) —The Nevis Island Assembly has a new President. 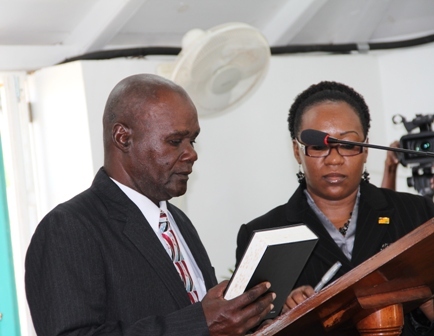 The Honourable Farrel Smithen who previously served as Clerk of the House took his oath after he was elected unopposed at the first sitting of the Nevis Island Assembly. The event was held at the Assembly’s Chambers at Hamilton House, Samuel Hunkins Drive in Charlestown on March 26, 2013. In his first remarks to the Assembly, Mr. Smithen, who will be assisted by new Clerk of the House Ms. Shemica Maloney, forcefully announced that it would no longer be business as usual at the House and he would ensure that all business conducted there was done in a respectful manner. “Each one of us, regardless of our beliefs whether political or social, would like to make our country; our island the gem. It was not long ago when all of us were able to argue, debate even though our views would have been different. At the end of the day we were friends. Sad to say, it doesn’t seem as though it is so now. “However, it is my belief and it would be my duty, to ensure that the work and the discourse that is being done in this Assembly would be done in a respectful manner. Gone are the days when Parliamentarians would use uncomplimentary and un-parliamentary language. I am saying now, under my leadership it would not be tolerated!” he stressed. Mr. Smithen made clear that he would at no time bring the office of the President of the Island Assembly into disrepute. “I would not on any account compromise the Chair for anyone, I will not and so I would like today, for all of us, to rethink our strategies going forward. It would not be business as usual; it would not be business as usual,” he said. According to the Assembly’s President, there were parliamentary rules and regulations and he would ensure that they were adhered to. “There is something which we would say in parliamentary manner, the decorum one needs to have in carrying out the people’s business.If at any time a member of the House gets out of line, I would quietly ask them to refrain from doing so. “It is unfortunate today that we do not have the members on the other side but when they do come, I would indicate to them my position with regards to un-parliamentary language and behaviour in this House…There was a politician years ago who used to say, ‘A word to the wise is enough’ and I will say no more,” he said. 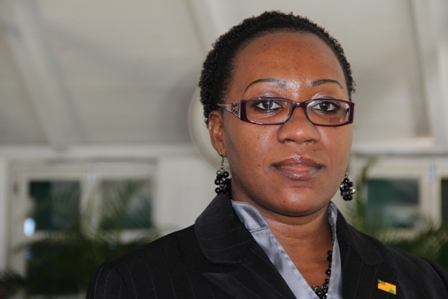 Meantime, Mr. Smithen also used the opportunity to speak glowingly about a former President of the Nevis Island Assembly Mrs Marjorie Morton and stated that he intended to follow in her footsteps in the way she conducted the parliamentary sittings. He explained that he had worked for some time with Mrs. Morton as Clerk of the Assembly. “Mrs. Marjorie Morton has been a good friend of mine. In fact, when I took up my post as Clerk of the House in 1997, she was the President and we worked together assiduously to ensure that the Nevis Island Assembly performed at its maximum. Today I wish to pay tribute to her for her entire service to this Assembly and to me personally. “Mrs. Morton is a person, who in my view is very cordial, passionate and forthright, and because of her standing in the community, I want to say here and now that she is a person that I would emulate and would ensure that I carry out the duties as if she was the one carrying them out herself,” he said.